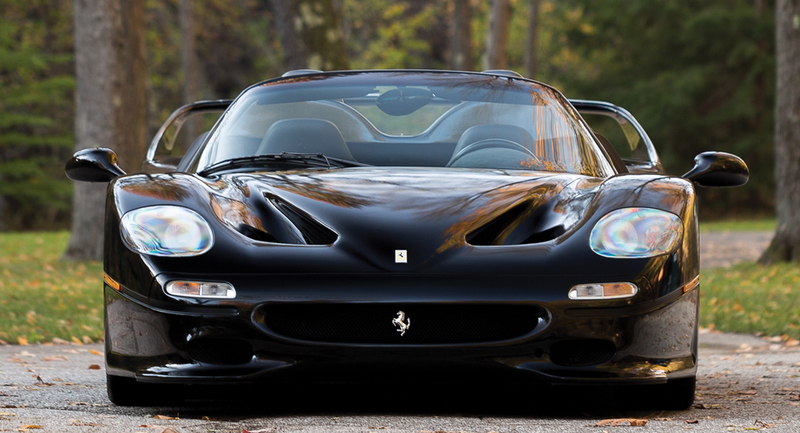 The vast majority of the F50s that #Ferrari sold were, as you might expect, finished in red. In fact 302 out of the 349 were painted Rosso #Corsa, and another eight in a darker shade of #Rosso #Barchetta. There were a handful painted other colors, though – including 31 in Giallo #Modena, four in #Argento #Nurburgring, and four in Nero Daytona – like the one you see here.